Invest in your Public Speaking/Brand Communication Skills! This 3 hour workshop will focus on learning the basics of Public Speaking and Oratory Skills. Topics explored will be crafting your Public Speaking Persona, Enunciation, Pronunciation, Elocution, Speech as Music and How to engage your audience! Come prepared to move your body. Public Speaking is a fun, empowering, and physical endeavour! Learn how to stand and communicate from a place of Power & Prestige. This workshop will be the beginning of changing your life and transforming how you think and move towards your career. 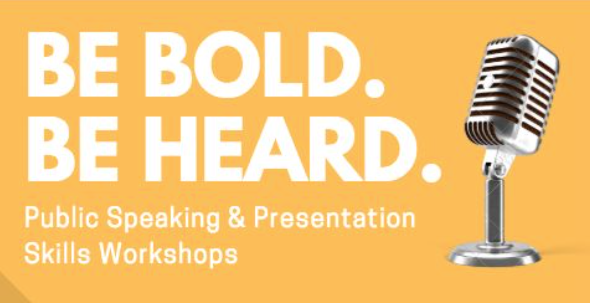 For artists, business people, entrepreneurs and change makers - whether you are a native or non-native English speaker - you will learn to speak more clearly, confidently, and persuasively... so be bold and be heard!